HOLLYWOOD—Marc Turtletaub has produced a couple dozen films in his second career —his first was in the financial sector—including the much-beloved Academy Award-nominated “Little Miss Sunshine.” As a producer, the New Jersey native has gravitated towards relatively small budgeted films that tell human stories involving little to no special effects. After making a dubious directorial debut a few years ago with the farcical “Gods Behaving Badly,” about Greek gods roaming among the populace in New York, which landed with a thud after a poor showing at 2013’s Rome Film Festival, he decided that his next directing gig would involve material closer to what he had produced such as “Sherrybaby,” “Safety Not Guaranteed,” “Jack Goes Boating,” “Louder Than Bombs,” and 2016’s acclaimed “Loving,” about the groundbreaking litigation that protected integrated marriages. 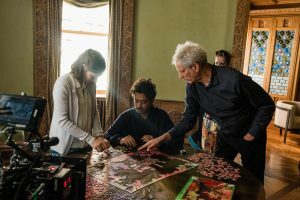 For his sophomore directing project, Turtletaub chose Oren Moverman’s screenplay “Puzzle,” which tells the story of a 40-year-old homemaker whose sheltered, mundane world is opened up when she discovers an aptitude for piecing together jigsaw puzzles. The film stars “Boardwalk Empire’s” Kelly Macdonald as Agnes, a dutiful wife and mother to two teenage sons living in a blue-collar Connecticut town. Upon receiving a 1,000-piece jigsaw puzzle for her birthday, she becomes obsessed with the hobby. Her newfound passion leads her to connect with another puzzle aficionado, a recent divorcee in New York named Robert (Irrfan Khan). Their passion for piecing together puzzles leads Agnes on a journey of self-discovery. In an interview, the genial Turtletaub spoke about embarking on helming his second feature film. Turtletaub: This one is much more grounded. It’s in my wheelhouse. It’s where I feel comfortable. I had never heard of the Argentinian movie. I never saw it until I finished my movie. Some friends sent me (Moverman’s) script knowing I wanted to direct. I read it and loved the writing and loved the subject matter. Not the puzzle aspect of it, because that was almost incidental to me. It was about a woman over the age of 40 finding her true voice. A woman over 40 coming of age. There are more woman-centered movies but not many where they’re in every scene, and it’s about them finding their voice. So, the combination of the story and the subject matter intrigued me. The original movie by Natalia Smirnoff tapped into that. That through line came through Oren. I think it does tap into something that many women think about, and many men for that matter, which is: Is this the life I’m supposed to live? If I’m a mother and a wife, is that all there is? It’s not to say that being a mother and a wife aren’t valuable and incredibly important things but it’s not the only thing. And that’s what this movie’s about. 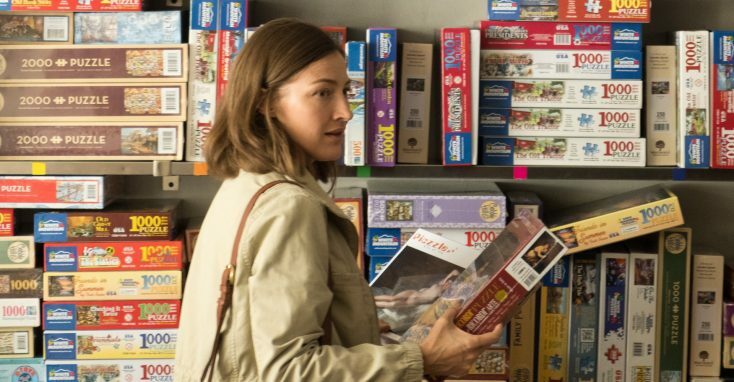 Q; Why cast Kelly Macdonald as your protagonist Agnes? Turtletaub: I wanted a younger actor. As I found at later, the Argentinian movie cast older actors. As I thought about the role, I figured this is a woman who would have gotten married in high school or shortly after and had her kids early on. So, that woman would be 40. It felt right to me in that world (that she lives). When I first saw Kelly in “Girl in a Café,” I’d forgotten it was the same person from some of her earlier movies. Then, watching her in “No Country for Old Men,” and seeing her in “Boardwalk Empire,” I started to connect the dots and thought, “what a versatile actress.” So, I wanted to work with her but we needed the right project, and then this came along and I thought of her immediately. Q: Who is the audience for this film? Turtletaub: It touches people of different generations. It was the same thing with “Little Miss Sunshine.” People could relate to the young girl, and they could relate to the teenage boy. Here, they can relate to her sons—the bratty son and the empathetic son. Others can relate to the mother. So, you get stories like that that are multi-generational and it becomes very interesting and there’s a market for that. We saw that at Sundance when we screened the film for 1,300 people and Sony Pictures Classics came in and said, “We want to distribute this.” We opened in Edinburgh and we’ve been doing other festivals. It just shows that there are a lot of folks interested in great stories no matter how big or small. Q: Did you have a puzzle-wrangler on set? Turtletaub: Yes, the prop people. They usually don’t have to put the same puzzle back together unless Kelly in that scene or Irrfan were only putting in a couple of pieces. With most scenes, it’s many more pieces than that. What they did was they had multiple versions of the same puzzle. When she finishes puzzling in one particular scene, instead of taking all the pieces away to get back to where she started, they would take that puzzle off and put the next one in. Q: Do you like to do puzzles? Turtletaub: I’m a terrible puzzler; Kelly is very good at it. Q: Who is a better puzzler—Kelly or Irrfan? Turtletaub: Irrfan wasn’t particularly interested in being a great puzzler. He did just enough to be believable. But Kelly became quite interested in doing puzzles. There was always a puzzle on the set. As soon as we’d get done with a scene, she’d go over and other people from the crew and cast would join her in working on this thousand-piece puzzle. Q: Without revealing what happens, were you onboard with Oren’s original ending, or did you change it? Turtletaub: I shot the film with two different endings. In the editing room, I considered a third. Kelly and David (Denman, who plays Macdonald’s overprotective husband) suggested their opinions of how to end it and my editor agreed with them. We constructed an ending consistent with what they said so it was constructed in the editing room and I’m happy with the ending we found. People talk about it afterwards and as a filmmaker I find that great. That’s what you want to encourage.